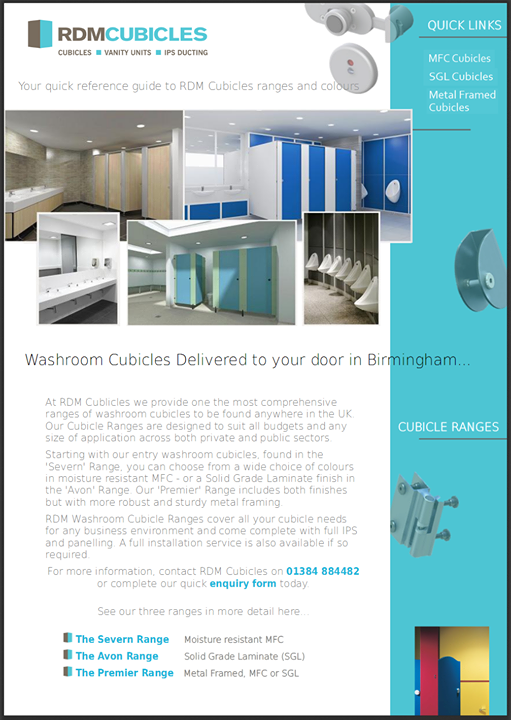 At RDM Cubicles we constantly strive to offer only the best quality Washroom Cubicle Solutions to our customers located in the Solihull area. 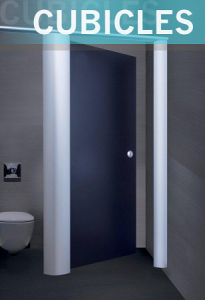 With an extensive range of Cubicles, IPS Ducting & Vanity Units we are able to provide full solution for almost any installation. Whether your requirement is in Education, Leisure, Retail or a typical Workplace environment, then we are able to help. Supplying a broad range of cubicle systems; from Moisture Resistant Melamine Faced Chipboard Cubicles to metal framed Solid Grade Laminate solutions, RDM Cubicles are ideally located to have your cubicles delivered to your Solihull location within around 45 minutes of your order leaving our warehouse.